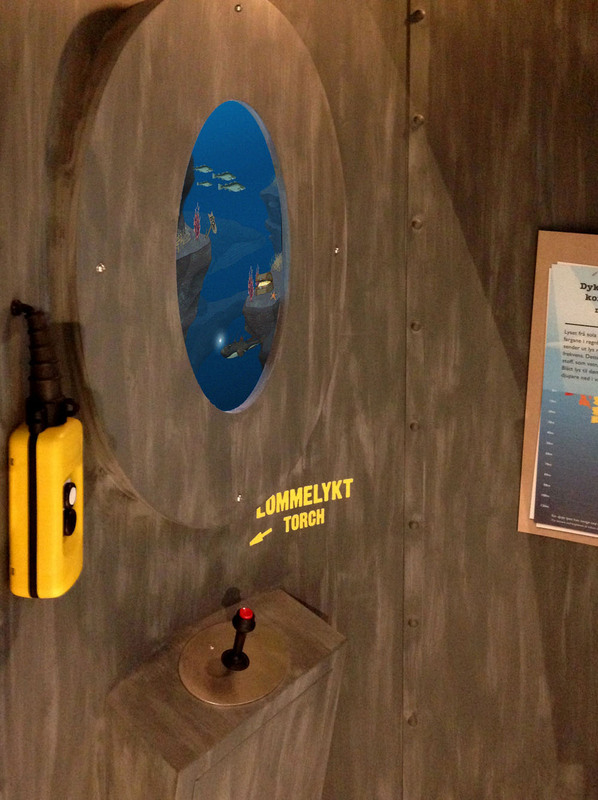 Game graphics and assets for an interactive station at the Vilvite science centre, Sotra Kystby (Norway). 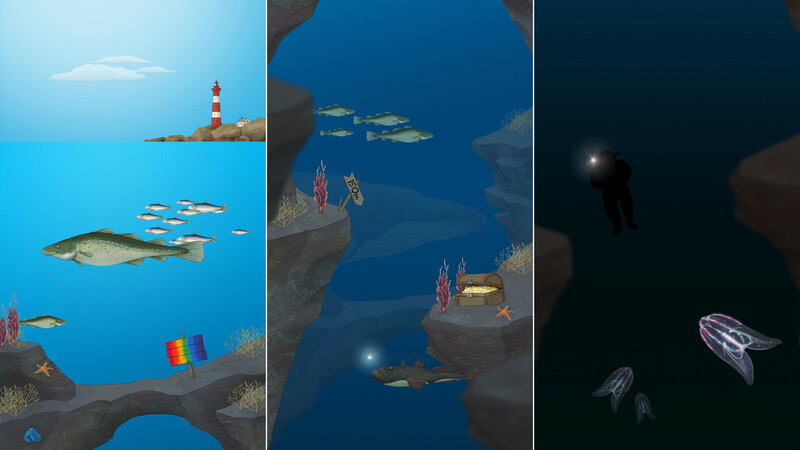 The aim of the game is to learn about deep sea colors, which are filtered the deeper you go underneath. Visitors can decent/ascent the diving capsule with two buttons. Every few meters a color is weakend or lost. To bring back the color players can activate and turn a flashlight. 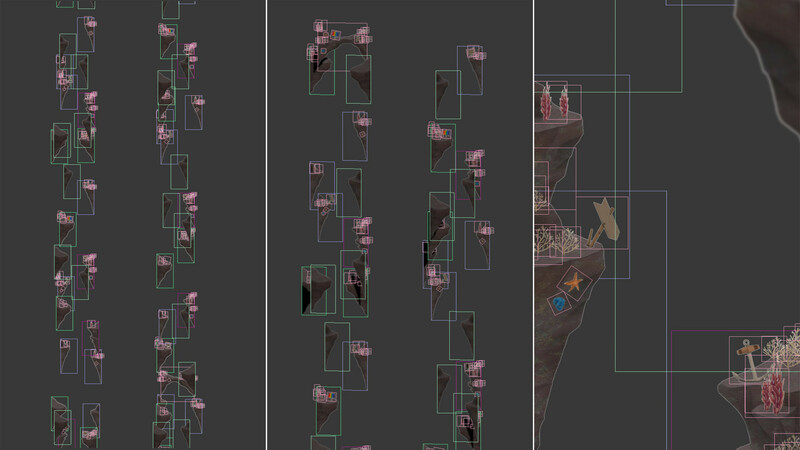 SFA devoloped the visual concept, illustrated/produced all game assets and layouted the level.